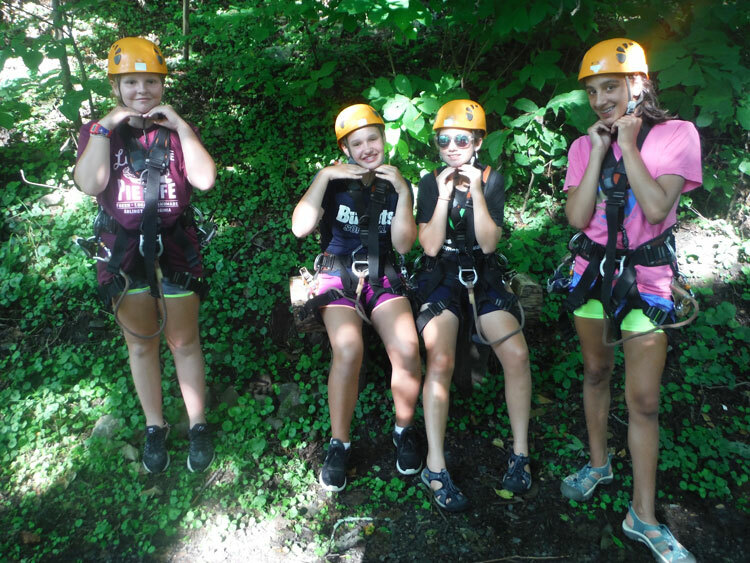 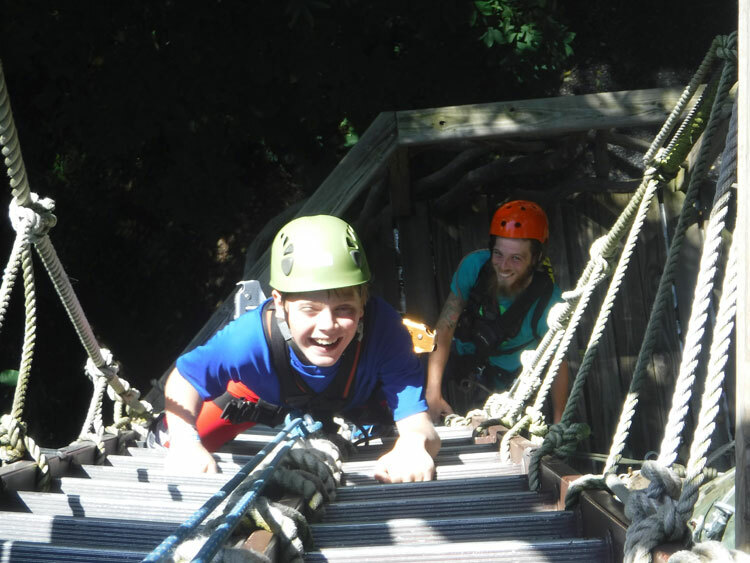 For an exhilarating experience, Campers will zipline through Appalachian treetops with an amazing overview of Harpers Ferry area vistas and the Potomac River. 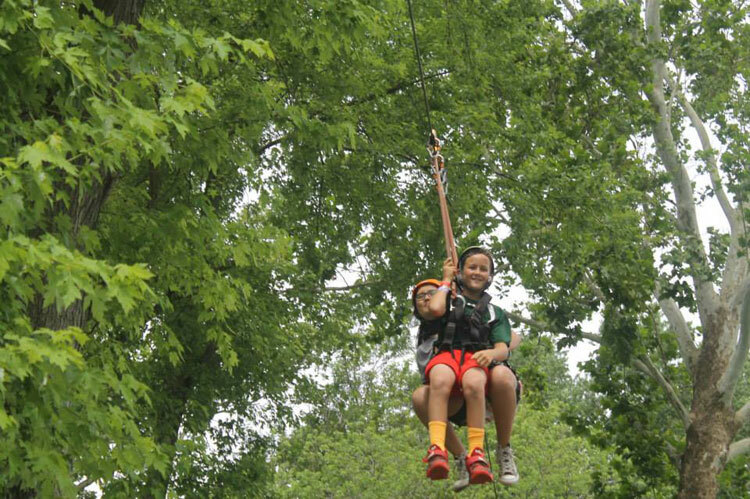 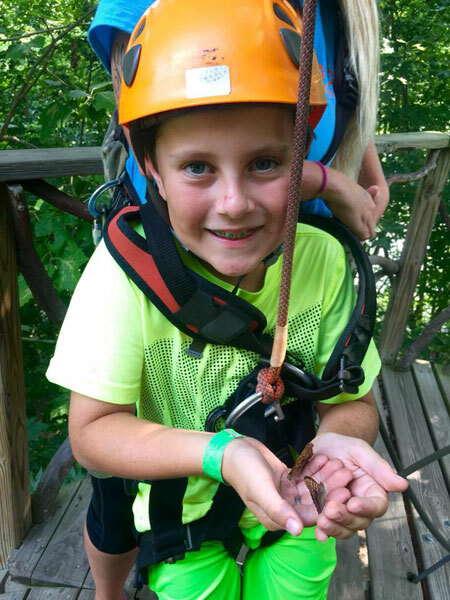 Campers will soar through the air while ziplining or walk across the suspended sky bridges for an added thrill. 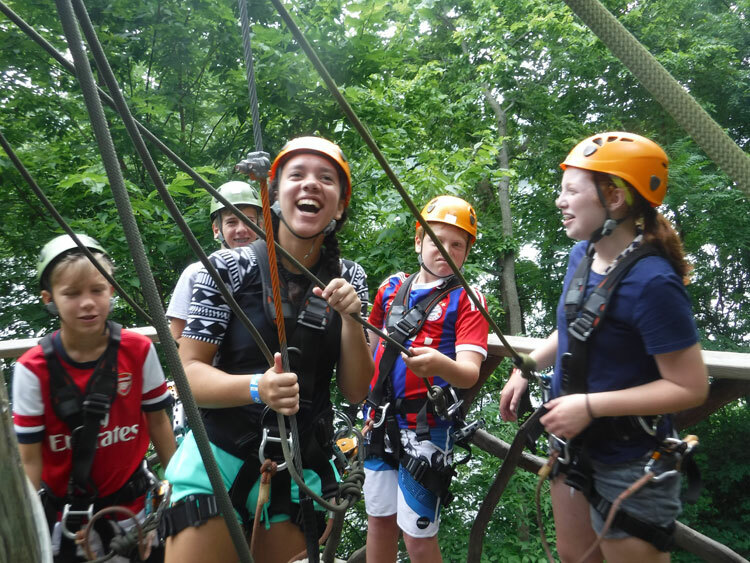 This 2 1/2 to 3 hour spectacular zip line adventure offers nature lovers and thrill seekers alike the unique opportunity to zip through the treetops on a network of cables and adventure sky bridges suspended high above the forest floor! 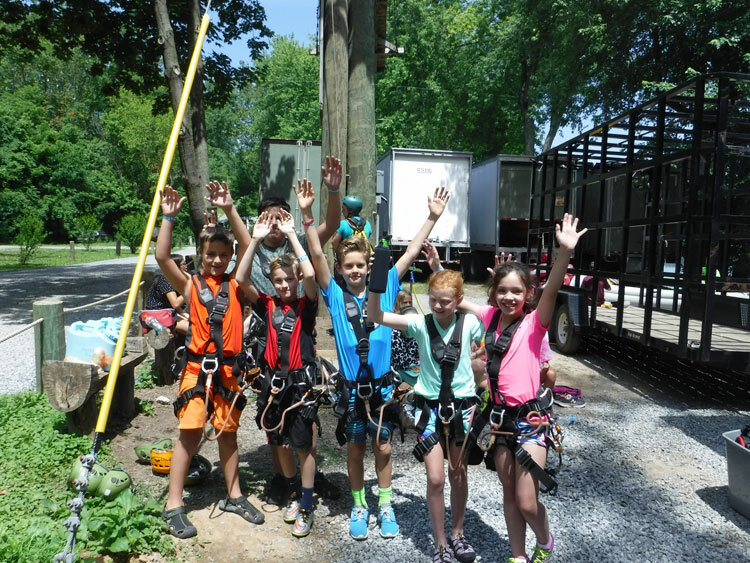 Adventure elements on the Zip line Canopy Tour include 8 zips from 200 to 800 feet in length, 5 belayed tandem ladder climbs, 2 bridges, and a 25 foot rappel from the final platform. 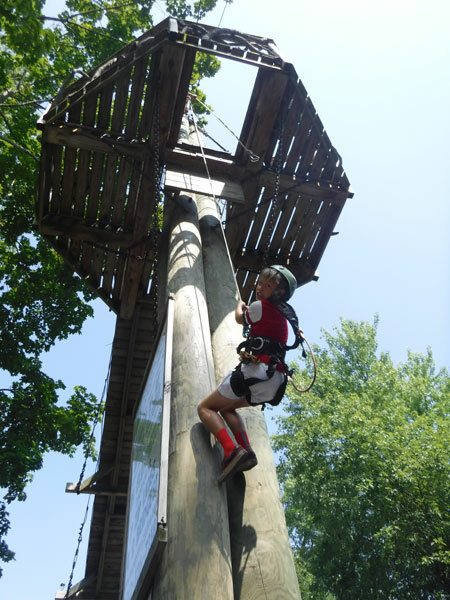 The seven 65 foot towers feature 13 tree houses. 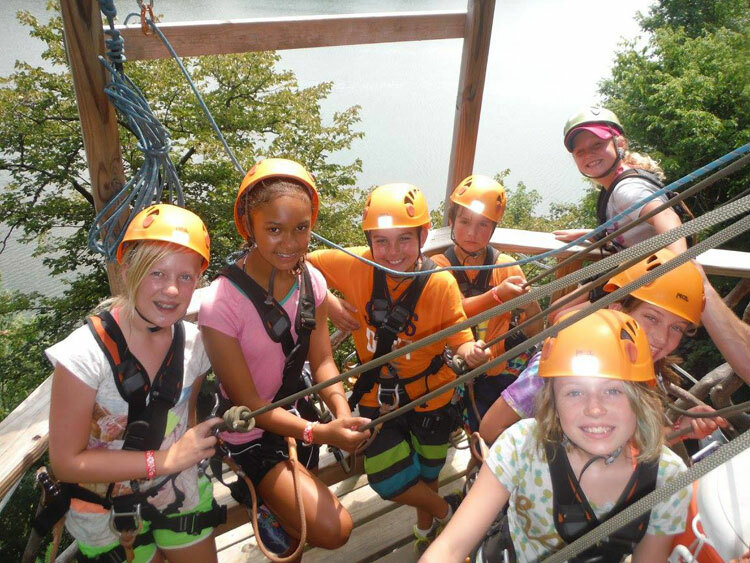 Campers’ lunches will meet them at the end of their tour for a picnic overlooking the Potomac.